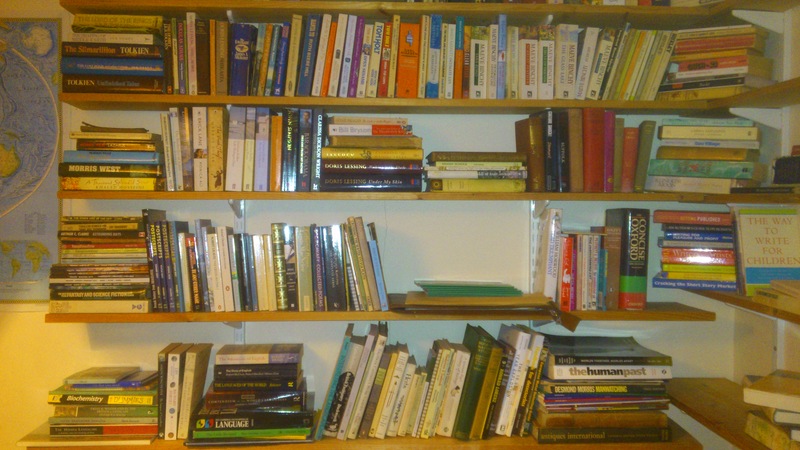 I am slowly working my way around the house, moving books to where they need to go, and deciding how to order them. 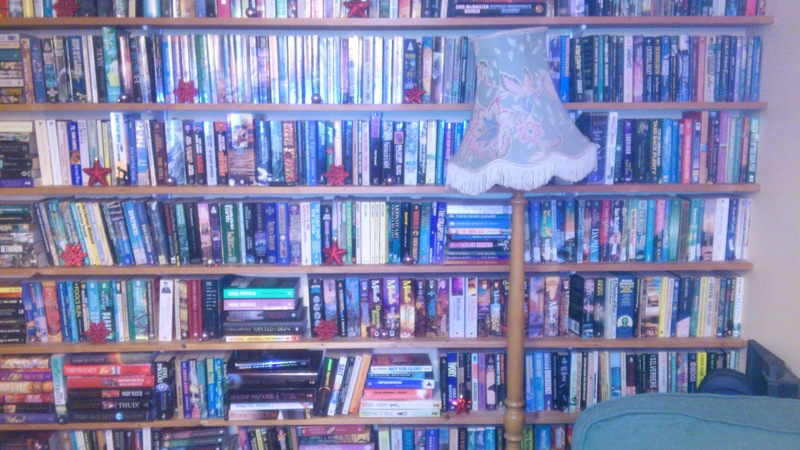 Some decisions are no-brainers – the science fiction stays in the lounge, because it’s the largest volume by genre in the biggest single run of book shelves; and alphabetical is as good a sort method as any. 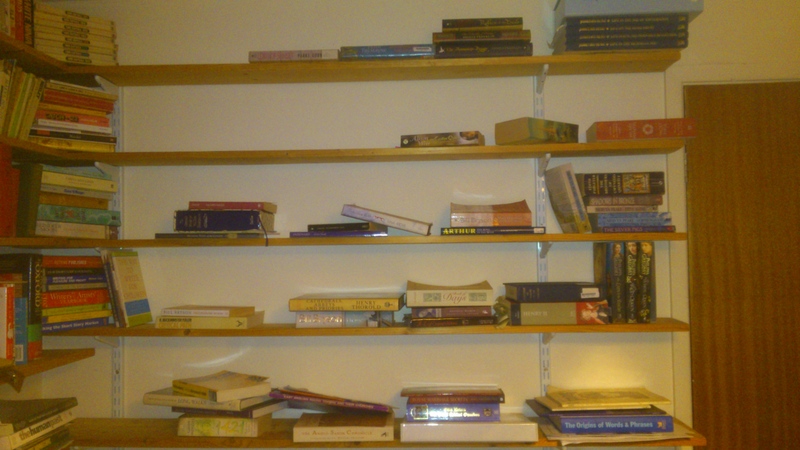 The back wall is slowly filling up with history and writing books from all over the house. Still to go on these shelves are the have-read piles in my bedroom, and the reading-now piles next to my chair in the lounge and beside my bed. 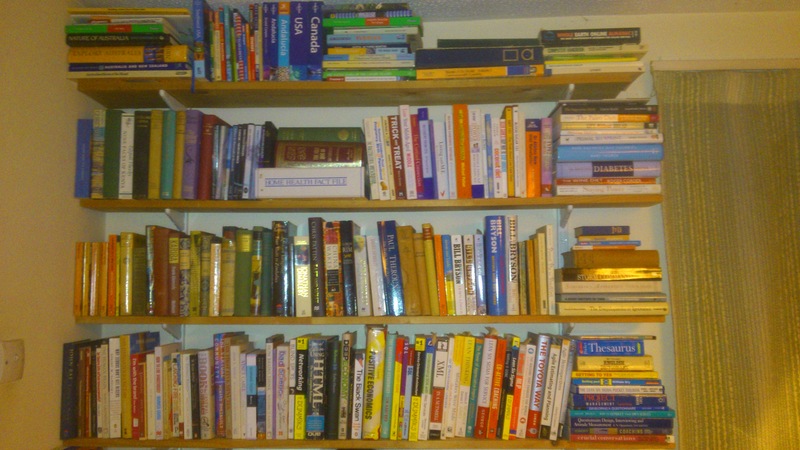 Then I shall move all the cookery and gardening books into their proper place in the lounge and dining room; sort out the photos mountain that is half in the study and half in the kids’ shared bookcase upstairs (not going near their individual bookshelves, too scary! ), and I shall be done.